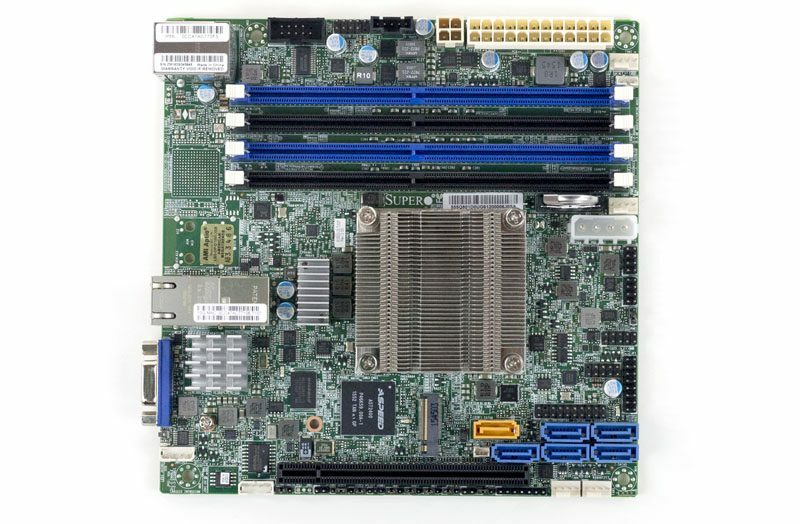 The Supermicro X10SDV-2C-TLN2F is a unique mITX motherboard, and one that deserves a closer look. It has an onboard Pentium D1508 which is a dual core, four thread Broadwell-DE based SoC. 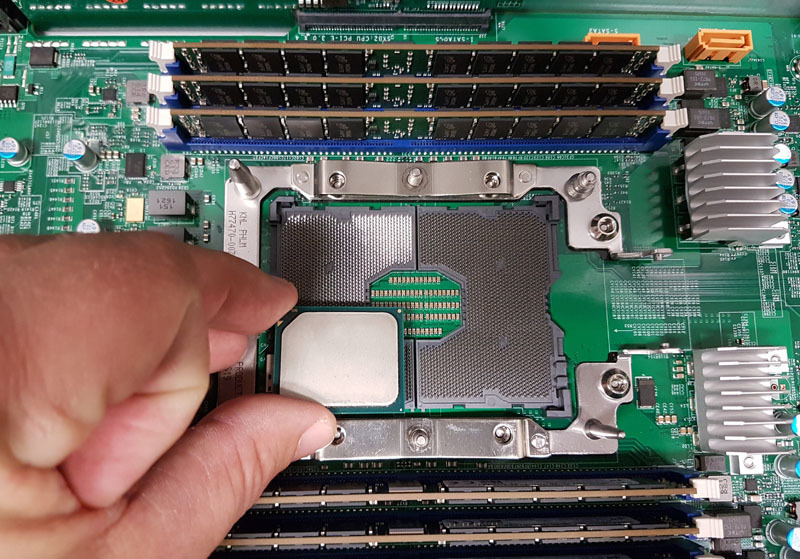 Given our extensive Intel Xeon D coverage, we received significant feedback that there are opportunities for lower CPU power servers that cost less. The Intel Pentium D1508 will fill this gap nicely. We previously saw an X10SDV -TLN2F with the launch motherboard for the Xeon D-1520, the Supermicro X10SDV-4C-TLN2F about a year ago. We used a similar configuration as to our original X10SDV-4C-TLN2F review. We purposefully loaded up the system with SSDs just to ensure that all slots would operate if populated with storage. RAM wise we went with 16GBx4 as if one is saving $100 on the lower power CPU, it is less likely they will be using more expensive 32GB DDR4 RDIMMs. We pulled all but an OS SSD for power testing to be consistent with other results. 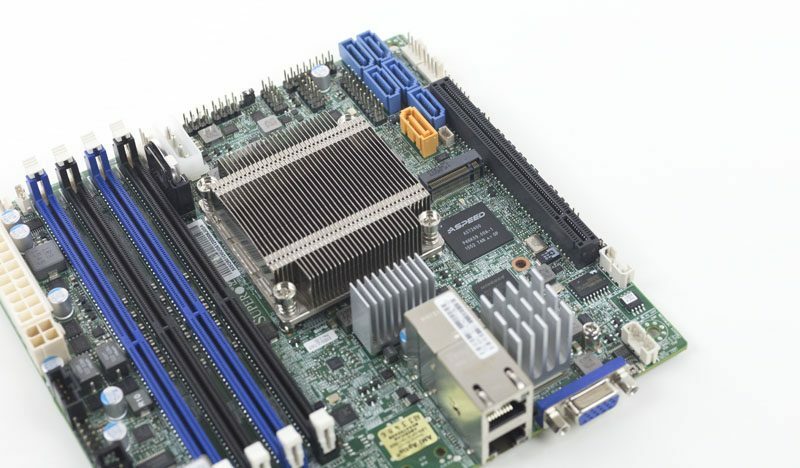 The Supermicro X10SDV-2C-TLN2F is a mITX motherboard that fits in a 6.7″ x 6.7″ form factor. Despite the diminutive size, it has a CPU, dual 10Gbase-T Ethernet and significant expansion capabilities. 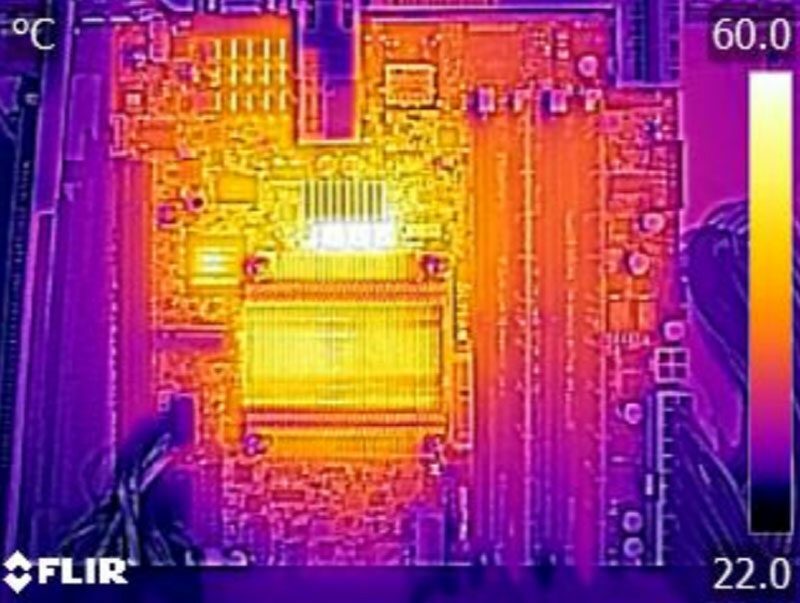 The onboard Intel Pentium D1508 has 2 cores, and 4 threads thanks to Hyper-Threading. With the lower core count, the L3 cache is down to 3MB as well. 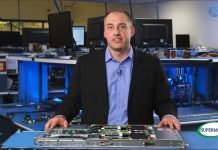 The 25W TDP is a full 10W lower than the quad core Intel Xeon D-1518. Although both the D-1518 and D1508 share a 2.2GHz base clock speed, the D1508 can Turbo up to 2.6GHz. The Pentium D1508 seems limited to DDR4-1887 instead of DDR4-2133. Servicing only two cores/ threads that is still solid per-core bandwidth. You can see an example Linux-Bench benchmark run using this platform here. From a platform perspective, one still has the dual Intel X552/ X557 10Gb Ethernet MAC onboard, the same PCH (for USB/ SATA) and PCIe configuration. 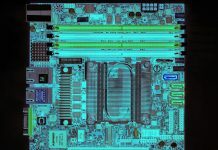 Supermicro was able to drop the Pentium D1508 into its mITX X10SDV design and lower the cost of the platform significantly. The Pentium D1508 has a list price of only $129. One can see modest cooling on the Pentium D1508. Like other X10SDV motherboards, the mITX motherboard follows front to back airflow. You will need chassis fans to cool the CPU and other components. 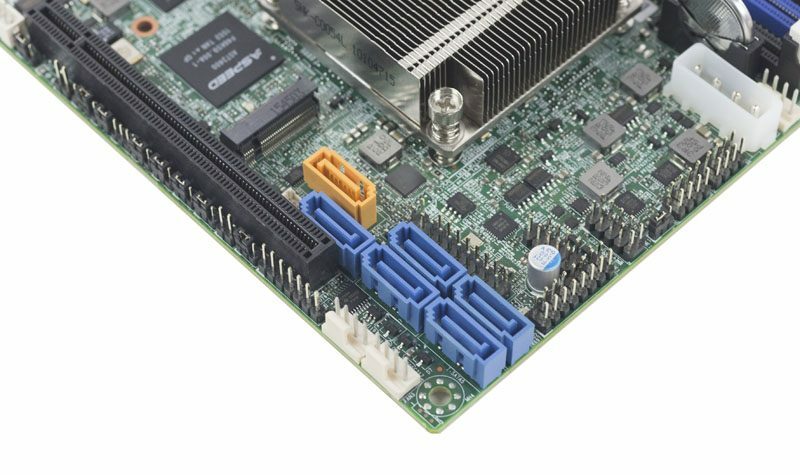 The latest Supermicro X10SDV motherboards have four or more 4-pin PWM fan connectors. Old versions only had three. Two to four chassis fans are recommended to get sufficient airflow over the heatsinks. In terms of expansion, there is a m.2 PCIe SSD slot that sits above the Aspeed AST2400 baseboard management controller. Next to this is a PCIe 3.0 x16 slot. When selecting a 1U rackmount chassis, you will need to ensure that the expansion slot lines up to the first PCIe slot point. We have used Supermicro SC505 and SC504 chassis with success. Onboard SATA from the Pentium D1508 SoC’s onboard PCH comes in the form of six SATA III 6.0gbps ports. The yellow/ orange port supports SATA DOM power and there is also a SATA DOM power connector just next to the port. We use SATA DOMs on the Supermicro X10SDV motherboards we use to host STH. The additional five SATA III ports provide ample storage for the dual core machine. The rear I/O is a cost optimized solution from Supermicro. The Intel i350-am2 Ethernet controller is not present as it is very expensive. Instead there are two 10Gbase-T ports. With the latest OS versions (e.g. Ubuntu 16.04), this works great because the Broadwell-DE Intel X552/ X557 drivers are included. If you are using older OS versions you will likely need to load the latest Intel ixgbe drivers. Rounding out the rear I/O there is an out of band management Ethernet port. One can also see a VGA console output and dual USB 3.0 ports for local KVM access. Overall, the thermal performance of the setup was good. The power deliver components on our unit did get hot but were within spec and we did not notice any stability issues with the platform. We used our Extech TrueRMS Power Analyzer 380803 to take measurements at different points of the board’s use. These are excellent results and this is certainly a testament to the platform. Loaded with SSDs for an all-flash Ceph node or with a USB key/ SATA DOM for a network appliance that is a lot of platform in a very low power envelope. Supermicro’s IPMI and KVM-over-IP as described a few times on this site, allows for a lot of deployment flexibility. Things such as fan speeds, chassis intrusion sensors, thermal sensors, and etc. can be monitored remotely. Alerts can be setup to notify the admins of issues. Beyond this, the functionality also allows for remote power control. One can do remote power up, power down, and reset of the server in the event that it becomes unresponsive. Another important feature is the ability to remotely mount CD images and floppy images to the machine over the dedicated management Ethernet controller. This keeps maintenance traffic off of the primary Intel NICs. 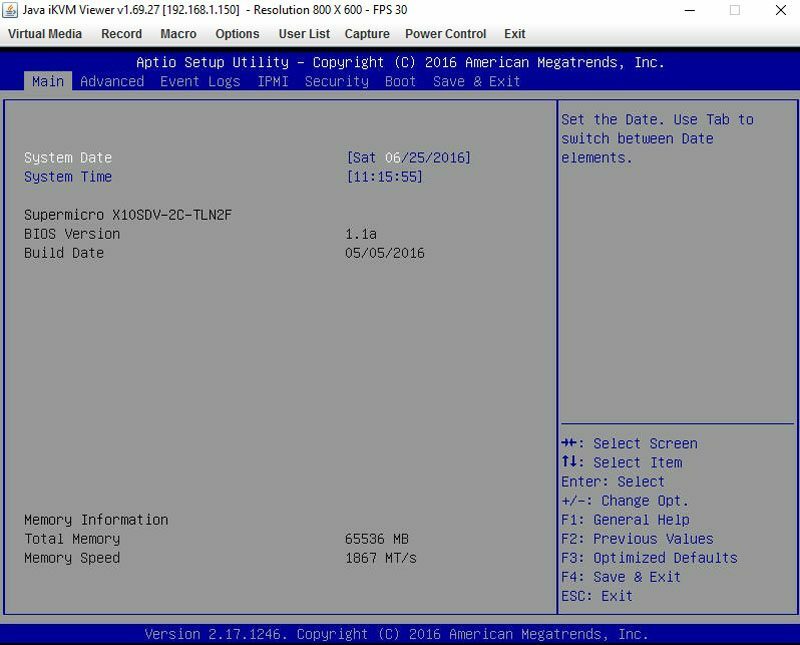 At the same time it removes the need for an optical disk to be connected to the Supermicro motherboard. 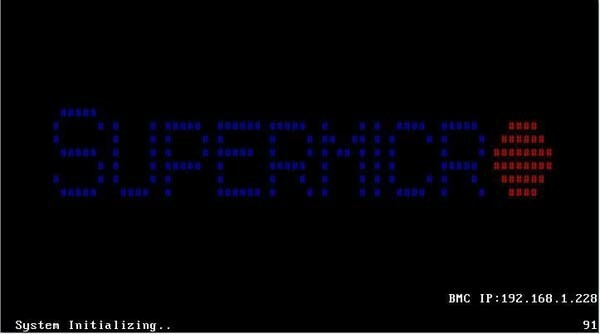 The latest revision of Supermicro’s BIOS has a great feature: the BMC IP address shows up on the post screen! 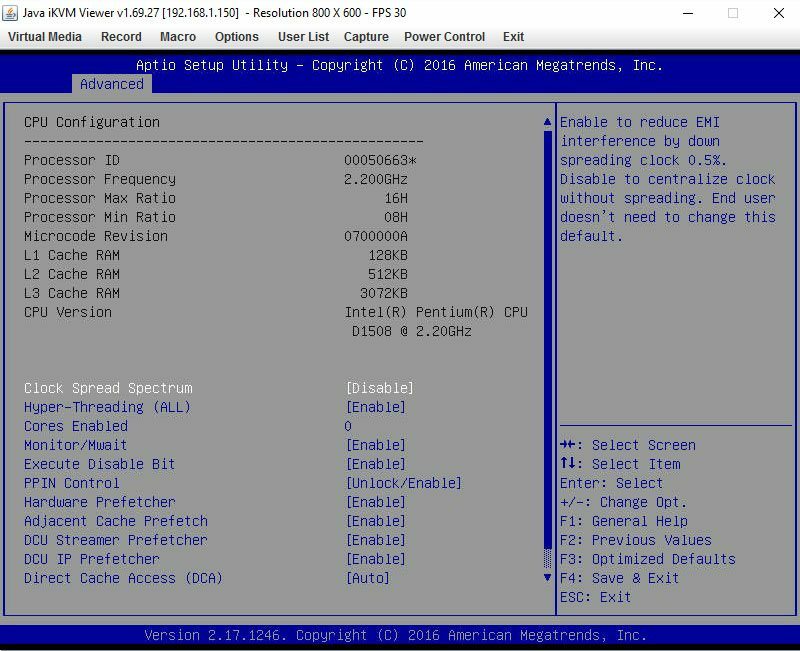 This is a super feature because if one has a KVM cart hooked up to the system, it gives an indicator of which machine one is connected to during post. Supermicro does include KVM-over-IP functionality with the motherboard. We have been testing servers from HP, Dell, Lenovo and Intel that all required an additional add-in key to get this functionality. It is an absolute time and money saver in the datacenter and other vendors should follow Supermicro’s lead in this space. Overall, the Intel Pentium D1508 onboard is not fast compared to many of today’s (larger and more expensive) processors and that is OK. This motherboard has plenty of power for a network appliance or low-end storage appliance. If these were available a year ago when we were building out the current STH colocation setup, we would certainly buy several of these. We found that, for our small cluster, using extra nodes as Ceph storage nodes and cluster quorum nodes gave us significant benefits in terms of overall cluster resilience and performance. We have heard of readers using these Pentium D1508 nodes for exactly this purpose. With dual 10GbE NICs, a PCIe 3.0 x16 slot and a lower cost price point, this is an excellent option for 10Gb network appliances. 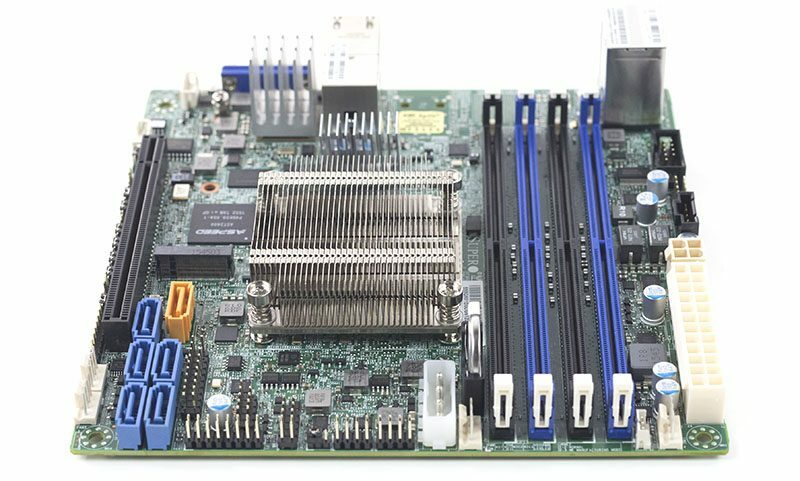 If you check out our Supermicro Computex 2016 coverage, you will quickly see a potential use case for these motherboards as high-availability firewall and security appliances. Patrick – do you still have this board? Can you run any CPU benchmarks on it (such as Passmark)? I cannot find benchmarks online for this chip/board ANYWHERE!!! Patrick, I don’t suppose you have benchmarks on 10Gbit speeds out of this board?